The appliance can overheat when in use, posing fire and burn hazards. Vornado Air of Andover, Kan., is reannouncing its April 2018 recall of about350,000 VH101 Personal Vortex electric space heaters. The electric space heater can overheat when in use, posing fire and burn hazards. In December 2017, a 90-year-old man in Chanhassen, Minn., died as a result of a fire involving the recalled heater. Vornado has received a total of 19 reports of the heaters catching fire. 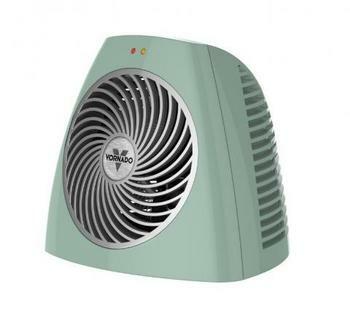 This recall involves Vornado VH101 Personal Vortex electric space heaters sold in black, coral orange, grayed jade, cinnamon, fig, ice white and red. The heaters measure about 7.2 inches long by 7.8 inches wide by 7.10 inches high and have two heat settings (low and high) and a fan only/no heat setting. “Vornado” with a “V” behind it is printed on the front of the unit. The model/type “VH101,” serial number and ETL mark are printed on a silver rating label on the bottom of the unit. The heaters, manufactured in China, were sold at Bed Bath & Beyond, Home Depot, Menards, Orchard Supply, Target and other stores nationwide and online at Amazon.com, Target.com, Vornado.com and other websites from August 2009, through March 2018, for about $30. Consumers should immediately stop using the recalled heaters and contact Vornado for instructions on how to receive a full refund or a free replacement unit. Consumers may contact Vornado toll-free at (855) 215-5131 from 8 a.m. to 5 p.m. (CT) Monday through Friday or online at www.vornado.com and click on “Recalls” in the lower right corner of the homepage or www.vornado.com/recalls and click on the VH101 Personal Heater recall button for more information.